There is a lot of different types of music out there. Like, a lot. Don't believe me? Check out this time-sucking tool called Every Noise at Once. When you load up the page in your browser, you'll be greeted with a massive wall of coloured text links. Each one represents a specific genre of music. There's everything from "Taiwanese pop" to "dark psytrance" to "Danish jazz" to "vapour twitch" to "Brazilian gospel" to "funk rock" to "discofox" to good ol' fashioned "hip hop." 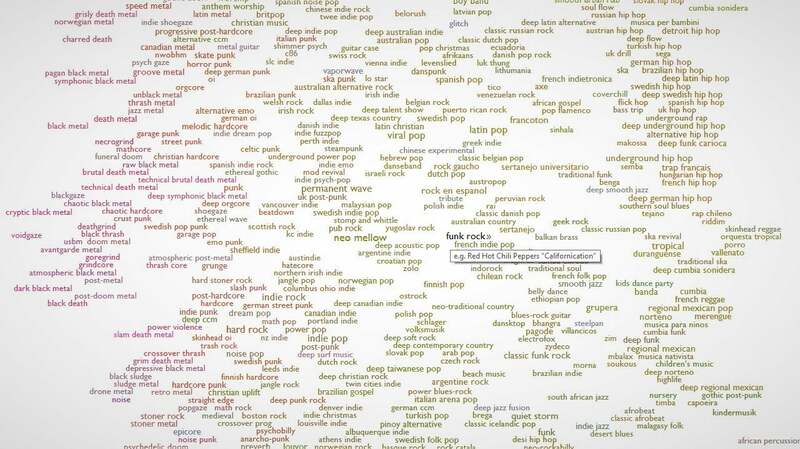 With more than 1500 different music genres mapped, it's all there. If you hover over one of the genres, you'll be given an example of an artist and song that exemplifies the genre's sound. If you click that link, it will even play that song example for you. As you explore, keep in mind that scrolling down will have music that's more organic, up will be more mechanical and electronic, left will be denser and more atmospheric, and right is spikier and bouncier. Or you can listen to a playlist for each specific genre here. 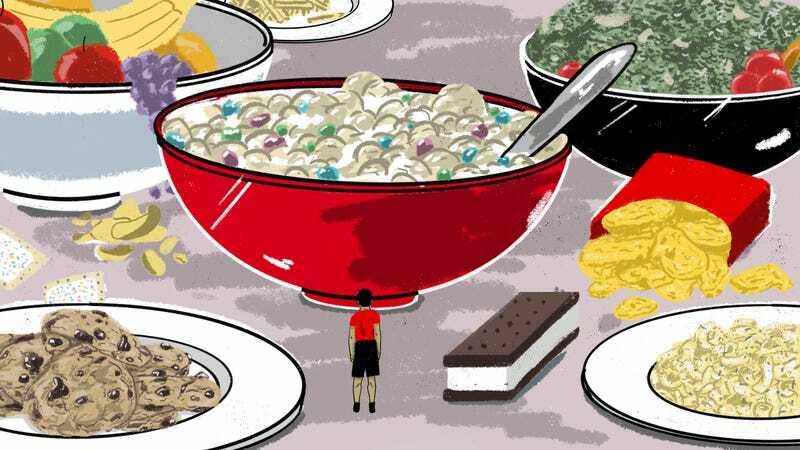 Say goodbye to your afternoon! The tool is pretty cool. But I feel like it's trying to solve a problem we've created - overcategorization of music. Who the hell invented so many ridiculous genres? Seriously, its out of control. It seems like someone comes along and says, "My style is deep melodic death glam italian psych alternative emo thrash metal" and all of a sudden that's a genre!